Implement the right of import: types of automobiles, motorcycles, motivation equipment and accompanying spare parts; types of machine, equipment, spare parts, components, accessories and input materials for production of mechanical and mold. Change company name (Vietnamese) to "Công ty TNHH Honda Trading Việt Nam"
Change company name (English) to "Honda Trading Viet Nam Limited Company"
"Honda Trading Viet Nam Co., Ltd welcomes you to be apart of our team and share our success together. We focusses on the growth of our diverse work force with equal opportunities and development opportunity. At present, we are seeking the new talent, who are searching for their career advancement for long term growth and sustainability of our organization. 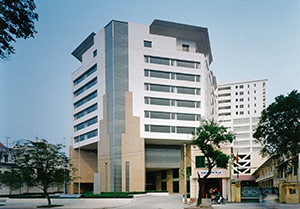 We invite you follow our own dreams and explore the career opportunities at Honda Trading Viet Nam Co., Ltd."